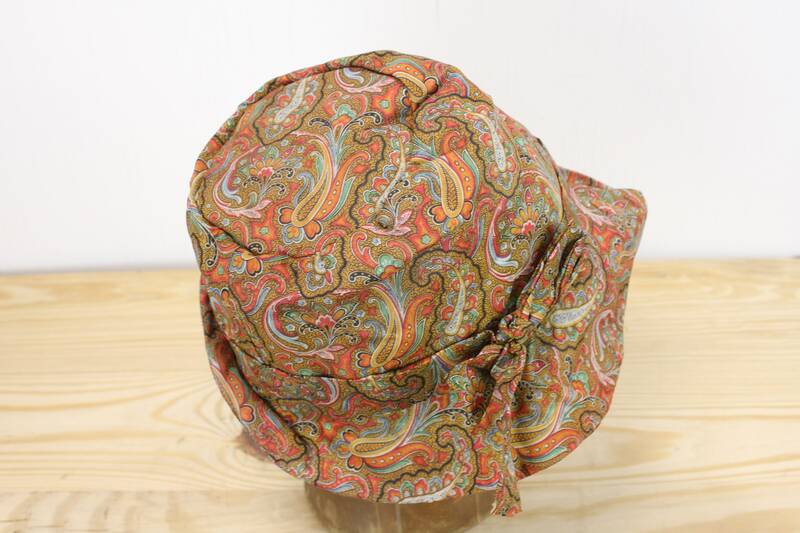 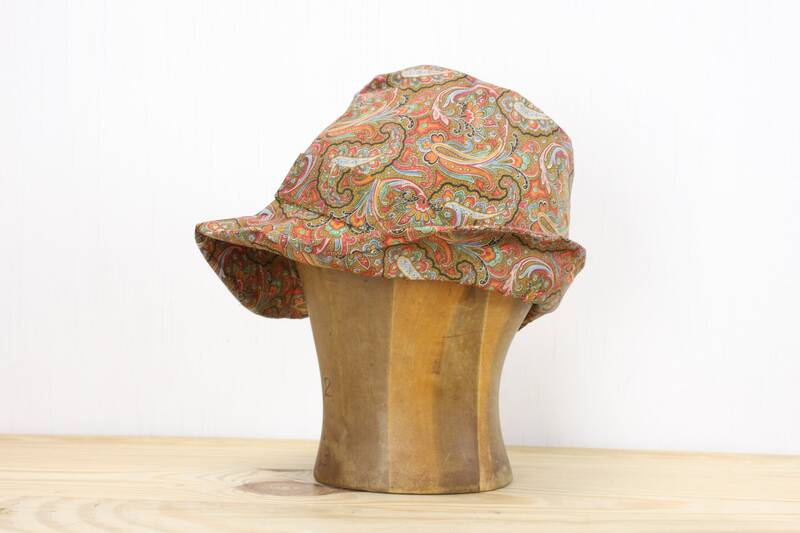 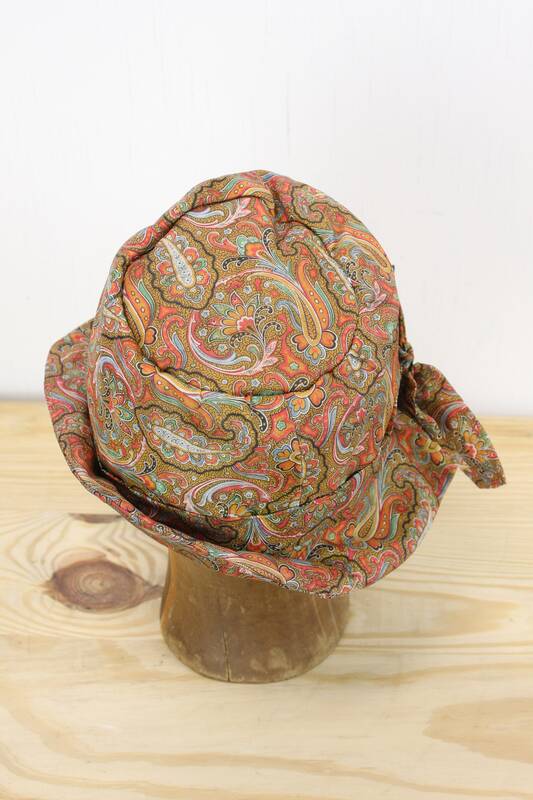 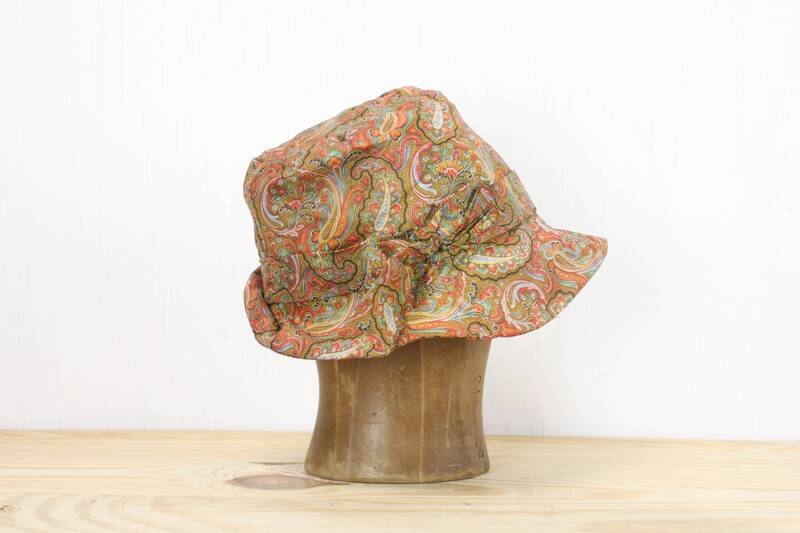 This amazing silk paisley hat is in stunning condition! 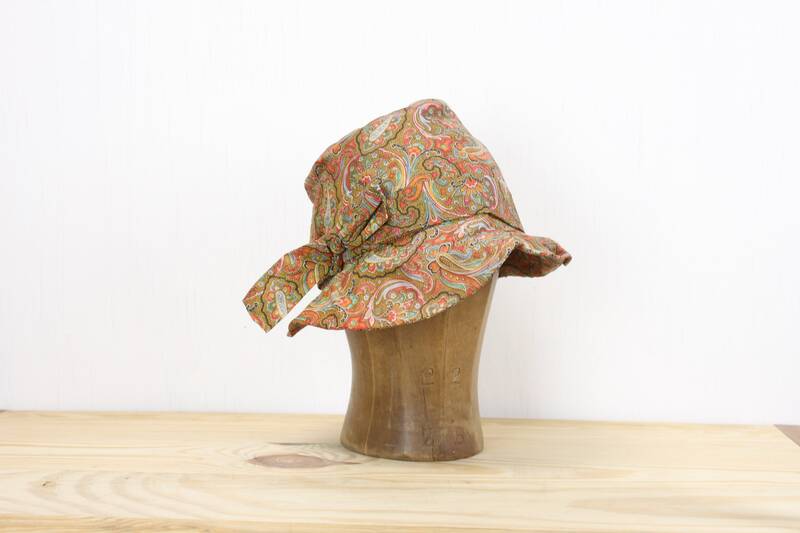 Featuring a reenforced silk paisley main fabric with distinctly eastern hues of yellow, oragne, green and blue - this hat has a light and summery feel that is perfect for formal occasions or picnics on the beach! 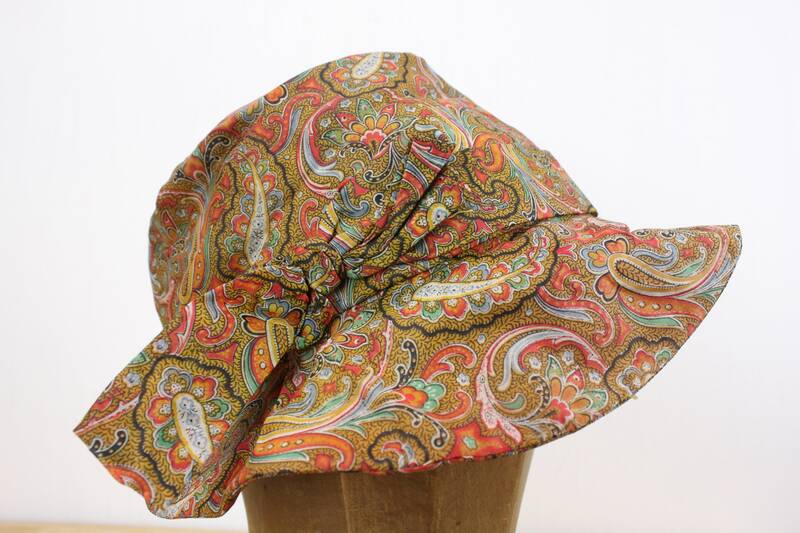 The hat is lined with a salmon satin and accented with an art deco esque bow presented in the main fabric. 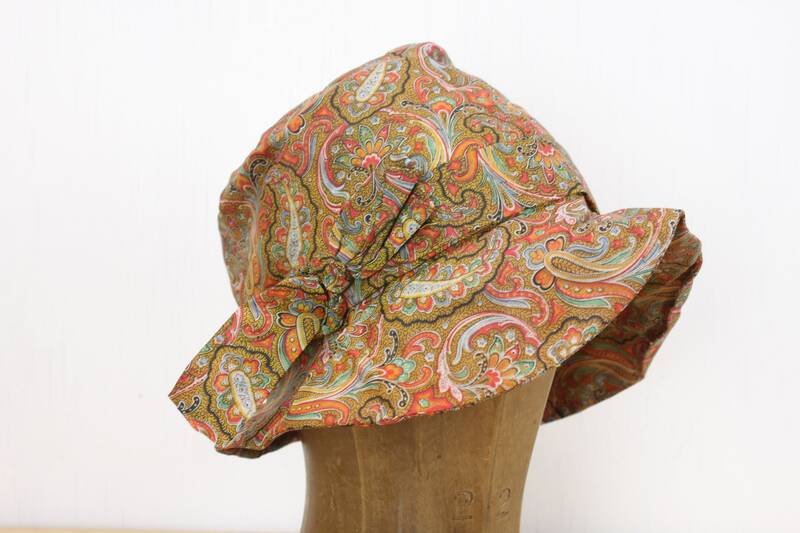 The style of the hat is a fedora form with a cloche fit! 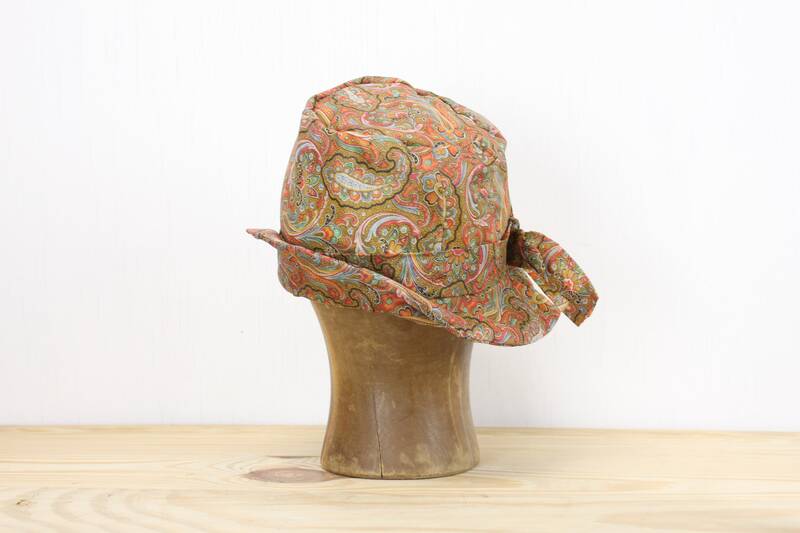 This cap is of the highest quality construction and would be a definitive addition to any collection! 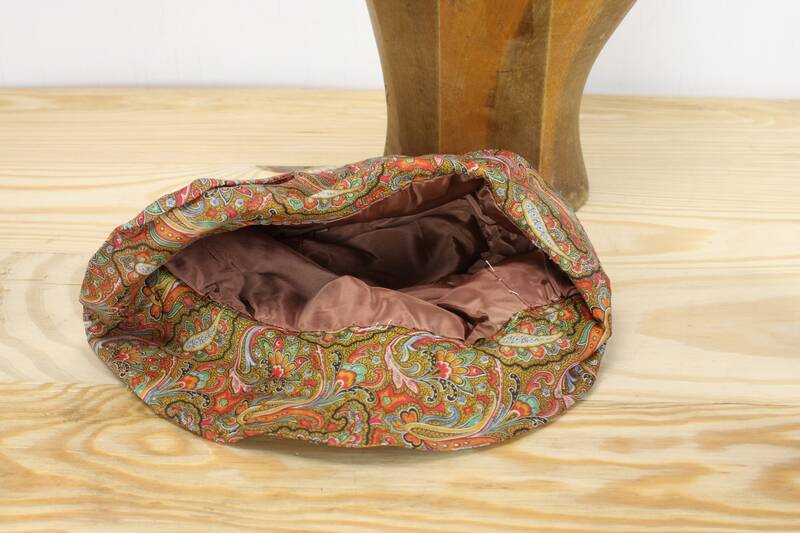 - Overall size: 12" x 10" x 5"